What caught my eye On Tuesday RE/MAX 100 House Tour at the Cedarhurst on the Bay NEW Listing at 1178 MAPLE AVE, SHADY SIDE, MD 20764? I'll let you see for yourself! Now all this is a couple of blocks away from a newly listed RE/MAX 100 Bank Owned AS IS Modular type Three Bedroom Two Bath Rambler with an unfinished LARGE sitting room off of the Master Bedroom. Undeniably, it is the setting and location of this one level $214,500 Rambler just an hour outside of Washington D.C. that stops you in your tracks. What caught my eye On Tuesday RE/MAX 100 House Tour at Cedarhurst on the Bay NEW Listing at 1178 MAPLE AVE, SHADY SIDE, MD 20764? Location, location , location! It's a fixer upper that would make a great getaway without crossing the Chesapeake Bay Bridge all summer long. Or a great starter home or even a scale it down home. Call Cheryl Ritchie, RE/MAX 100, and roam down to Southern Maryland for a new place to call Home! 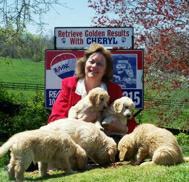 You'll Retrieve Golden Results with Cheryl Ritchie, RE/MAX 100 for all your Southern Maryland Real Estate Services. Visit www.GoldenResults.com for more information about Homes and Land for sale in Southern Maryland.